Latin American Animals, listening Comprehension, and Diet are all woven together in this episode of Ramping Up your English. Together, these themes are designed to help you improve your English Listening Comprehension and compose the report you’re writing on an animal of your choice. Whether or not you’ve watched this episode on RVTV, you can watch it now by clicking this link. You can watch this episode in segment of about 10 minutes each. Click here to watch the video about cavies. How many Latin American Animals can you name? While I think of jaguars first, and then llamas, alpacas, and vicunas, there are many more, and some that may surprise you. This episode looks “south of the border” to find some impressive and exciting animals of Latin America. It was a great privilege to live in Mexico for a year and to visit South America a couple of times. Neither of those times were dedicated to animals, but I had some profound experiences with animals in the flesh and in Meso-American culture. Recall the basic theme of a video with narration about a familiar subject. 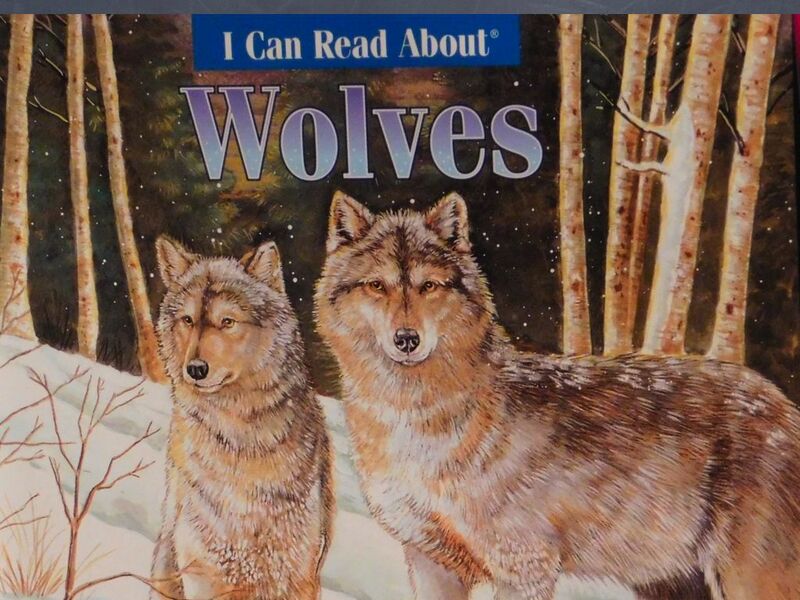 Retell basic facts from written text about a familiar subject (the book about wolves from Scholastic Books). Identify facts about an animal’s diet from written text. Science/Language Arts(Research): Distinguish facts from connecting language in a written resource about an animal’s diet. List facts about the diet of an animal. Identify the role of an animal in a food chain. Identify whether an animal is a producer, primary consumer, or apex consumer. Distinguish between predator and prey. Geography: Locate geographic regions in Latin America using a map, including Mexico, Central America, and South America – including Patagonia. Name at least 6 animals endemic to Latin America. We begin Episode 55 with some unfinished business from our previous episode about Wolves. 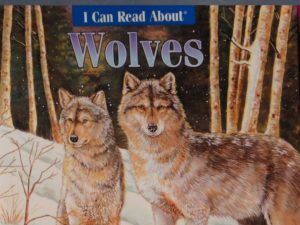 We reviewed a book by Scholastic Books entitled Wolves. This book is written at a level that most intermediate level English Learners can at least partially understand – especially given the subject matter of the previous episode and the context provided by illustrations. 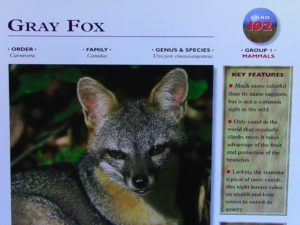 In the main part of the program, we featured two at-length videos about animals found in Latin America: Cavies and coatis. 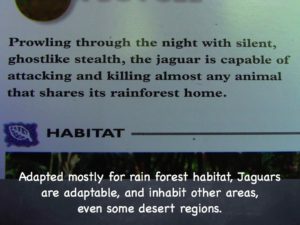 We also featured jaguars and listed some animals found in the Andian Highlands of South America. We located information about the diets and the trophic roles of some Latin-american animals, demonstration how to use our sources for locating diet information for animals reports. No stranger to Southern Oregon, the gray fox can even climb trees! 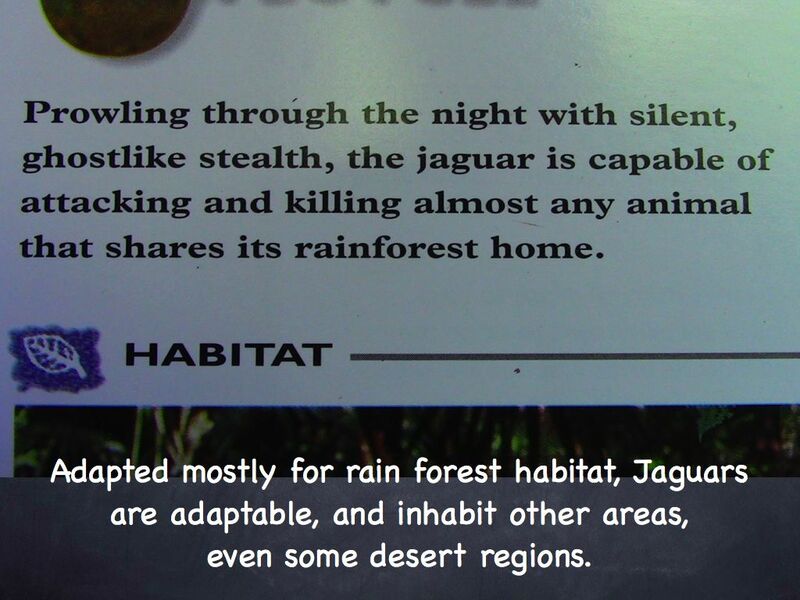 Jaguars are America’s big cat. They’re the apex predator in much of Latin America. To visit the Episode 56 page, click here. To view the entire episode ad-free, click here for the archive.